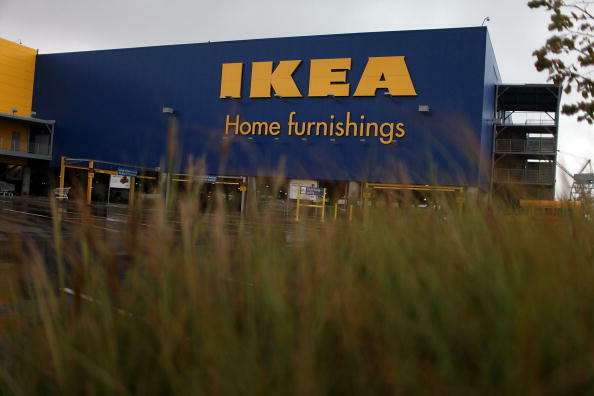 IKEA (Ingvar Kamprad Elmtaryd Agunnaryd) is a Swedish furniture company with retailing outlets worldwide. One of the company's popular product lines consists of assemble-it-yourself beds, sold as packaged parts and instructions. The 38-inch-by-75-inch Kura reversible bed is one such item, a bunk-style bed frame that you can invert for use as a child's fourposter. Though more complex than many IKEA beds, the Kura is still quite easy to assemble, requiring nothing more than a screwdriver and a few hours' work. IKEA furniture is sold all over the world. Choose a carpeted working space and get an assistant to help you if you feel you need it. Don't hesitate to call your local IKEA dealer for assistance if you have difficulties at any point in the assembly process. Assemble the headboard. Connect the horizontal slats to one vertical column with the included pegs, using two pegs and a screw at each point of contact. Slide the panels between each pair of slats, and connect the second vertical column to the other side. Repeat with the footboard. Assembling the footboard will be somewhat simpler than assembling the headboard, requiring only three horizontal slats and a single panel at one end. Connect the two beams for each of the long sides of the bed with a vertical slat in the middle, and slide a panel between them. Note that one sidewall will be a couple feet longer than the other -- the shorter one is so made to leave room for the ladder. Assemble the side with the ladder, connecting the vertical ladder rail at right angles to the shorter side panel at one end and the base beam at the other. Peg the ladder rungs at right angles along the length of the ladder rail. Begin fitting the various parts of the bed together. Stand up the side piece, with the panel at the bottom, and screw it to the headboard at a right angle. The two sides so connected should now remain standing on their own. Add the longer side panel at a right angle to the base of the headboard. Connect the footboard to the end of both it and the complete side piece. Peg every ladder rung to the vertical column of the footboard. Attach the long top beam above the lower panel, completing the four walls of the frame. Screw the metal rails to the upper inside edge of the side panels. Turn the entire frame over so that the panels and rails are at the top, and snap the horizontal supports into place along the entire length of the rails. Screw them secure from both above and below. Lay a mattress on the supports to use the Kura bed as a bunk. Turn the entire bed over again and remove the rungs of the ladder, placing the mattress on the other side of the supports this time, to use the Kura bed as a fourposter.